Since the turn of the century, there has been a major shift in the way cricket is played and perceived in different parts of the globe. A more fiscal approach has been associated with cricket which has led to the renovation of the brand of the game and evolution of its financial setups. In this era of fast-paced cricket, the batsmen usually have the last laughs and fans are used to witnessing intriguing, high-scoring matches, filled with top-notch entertainment. A debate has been around as to the continuation of Test cricket as a format of the game, due to its dwindling viewership figures. Indeed the controversy holds significant weight given the uncertainty that surrounds its hindered success, in light of the growing popularity of T20 cricket, internationally. Test cricket has begun to lose its footings as the global rise of T20s has overshadowed its significance and lack of competitiveness and fan-following has led to monetary losses to cricketing agencies. Nevertheless, Test cricket should not be abrogated as it is the foremost hallmark of cricket’s existence and boasts historical legacy of cricketing rivalries. Instead, certain proposed transitions need to be adopted and rules to be systematically integrated to ensure better publicity and promotion of the format around the globe. Known as the purest form of the game, Test cricket is the sole identity of cricket’s genesis and has existed for more than a hundred and forty years. The first officially recognized Test match was held at the historic Melbourne Cricket Ground between England and Australia, in 1877. The term “Test” also stems from these latter decades of the 19th century and illustrated the mental and physical gruelling players had to undergo. For nearly a century, Test cricket had been the first and foremost format of the game, the pinnacle of cricket that was gradually populated by different nations rising to the global scenario. The historical value prefixed with Test cricket can be admitted from the fact that it boasted the legacy of British imperialism and quickly spread into the Commonwealth of Nations. 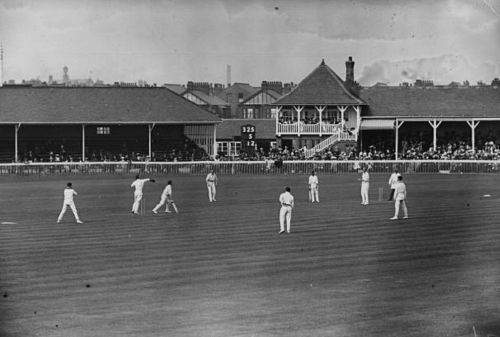 Although Test cricket halted during the outbreak of the two World Wars, it regained its grandeur soon after which goes to show the adoration international communities had for the game of cricket. It was Test cricket that brought about an unofficial induction of countries like India and Pakistan into cricket. Since then, cricket in these nations has proven to be more like an inherited religion rather than just a sport and has deeply embedded into their cultures. Over time, Test cricket has become a plethora of vintage cricketing chronicles boasting legendary heroics and tactical villainy. It’s laminated with memoirs of age-old rivalries from the past. This format reflects the particular aspects of cricket that exclusively distinguish it from otherworldly sports. In no other sport are players tested to such an extreme level of unparalleled strategies, psychological grit and physical endurance. It is the ultimate examination of the best amongst the lot. Under varying shades, more often than not, it scribbles down dramatic sagas over a period of five days. Thus, with the classical glory and commemorated prestige stigmatized with Test cricket and a sense of eccentricity that it offers to the game, it is impractical to completely abolish it and hope to globalize the game just through the limited-overs formats. Developing on the argument established above, Test cricket boasts one of the greatest sporting rivalries in modern sports, The Ashes. Although the first test match between England and Australia was held in 1877, the Ashes were officially inaugurated in 1882 following a dramatic prelude where a small urn was presented to the Australian captain after a harrowing defeat at the hands of the Englishmen. The urn is said to have been formed out of the ashes of a wooden bail, and was termed as: “The ashes of the English Cricket team”. This triggered a competition that was to become the flag-bearer of cricket around the globe. The Ashes is a contest embodying more than a century of sporting enmity and romance between a miniature island nation and its former penitentiary, striving for supremacy. 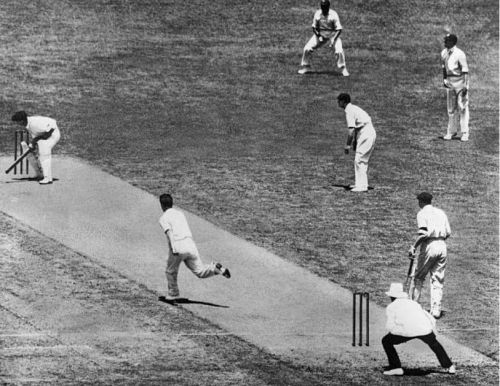 It was the Ashes that reshaped cricket back into international sports following the horrors of the two world wars and the outrageous activities surrounding the apartheids. This age-old series is never short of stirring up remarkable controversies such as the infamous Bodyline Series. Bodyline was a fast bowling tactic devised by English bowlers to combat the extraordinary batting abilities of an all-time Australian legend, Don Bradman. The theory, as reported in a journal, included pre-planned, short-pitched bowling specifically targeting the batsman’s body to ensure that he is unable to score freely. This ploy was greeted with widespread resentment from the cricketing fraternity and even threatened bilateral relations between the two nations. Such has been the significance of The Ashes that for more than a century, the governments, the royalties and the cricket-loving peoples from opposite poles of the world have been engrossed by its happenings. Controversies aside, it has a knack of creating legendary scripts and sagas of fascinating upsets. It is the breeding ground of superstars who are destined to reign the game in the future. The 2005 Ashes is an impeccable example of this which is renowned as the most absorbing Test series ever played and laid down the renaissance of English cricket, escalating some players into ultimate greatness in the process. “If there has been a more compelling series, history forgot to record it. If there is a better one in the future, you would beg to be there.” Perhaps, the most incredible component of this encounter is its incessant nature; the fact that it’s not supposed to be aborted and that no other cricketing nation can participate in it. It has a one-off prize - a dummy of the original urn that is rotated back and forth amongst the winners between England and Australia. The rivalry thus deepens and encompasses the upcoming generations. 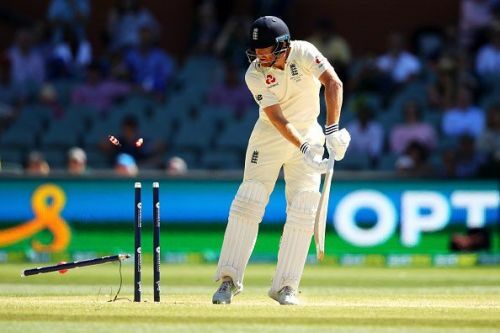 In this era where cricket is under an assault by commercialization and test matches are curtailed to a maximum of three-match series, Ashes has preserved its traditional 5-test match series and is still one of the major talking points in modern sports. It is regarded as the most-followed international cricket event after the two World Cups. 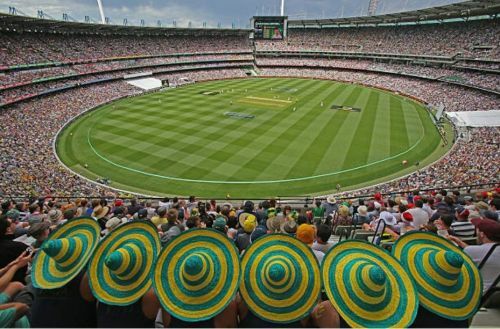 The recently concluded Ashes series in Australia was attended by a record-breaking 0.87 million spectators, the 2nd largest ever crowd attendance in Ashes history. Given the historical significance of its unbroken tie with the very birth of the game and its immense influence on cricket’s followership, the Ashes cannot be sealed off which, thereupon, leads to the continuation of Test cricket as a format. cricket will be crippled and slowly stoop down into a bottomless abyss if Ashes were to end. Despite Test cricket’s historical relevance to the originality of the game, there is not a feather’s doubt that this format has lost a lot of charm over the last decade. One reason might be the introduction of T20 cricket back in 2005, which has since taken the cricketing world by storm. Like a summer blockbuster smashing box office records, T20s have invaded the stage and eclipsed Test cricket through its thrills and a sense of competitiveness that it brings. Apart from the Ashes and an odd Test match between the top-ranked teams, crowd turn outs have been little to none across regions like the Emirates and the Caribbean islands. On the other hand, T20 franchise-based competitions have been on the rise for several years, alluring massive assemblages of cricket fans. The Indian Premier League’s version of 2017 was witnessed by an approximate 411 million unique television viewers, which is essentially more than one in every 20 people in the whole world. This, in comparison to the 531 million viewers of 2010 FIFA World Cup’s final, is a staggering figure and goes to show the globalizing effect of these T20 leagues which don’t even have an international status. This, predictably, leads to monumental profits to both cricketing Boards as well as the Broadcasting Agencies which in turn means that more funds can be invested in innovating cricketing systems, such as the installation of newer technologies including Decision Review System, Player Analytic Reports and Octagon cameras for high-quality coverage. T20 leagues have brought about a more lucrative approach and it has become a money-making ground for all stakeholders. From the fans’ perspective, T20s are radically redefining modern-day cricket by laying down a culture of their own. This underlying transformation of cricket from a game to an entertainment-platform has been a huge success, as far as the worldwide following is concerned. In this fast-paced sporting era, T20s offer quicker results in contrast to the 5-day long Test matches, something that the younger generations, as well as amateur followers of the game, look forward to. Besides that, the ground-side Jacuzzis, the razzmatazz bars in audience stands, the dancing cheerleaders and a mixture of rock & jazz in the backdrop brings a totally new dimension to cricket, again things that entice throngs of crowds. Although T20 leagues have incredibly helped in formulating a global recognition for the game of cricket, certain controversy-filled clouds loom over its legitimacy. These T20 leagues are not monitored by the International Cricket Council, an impartial entity. Rather, respective boards of different countries are solely authoritative in administering events on such a level. The biggest T20 league, IPL, has been scathed several times by reemerging scandals of spot-fixing comprising the players, the team management and even the event executives, for that matter. Moreover, as disclosed by the Cricket Monthly, the myth branded with these T20 tournaments that they are a source of money-printing jars and profit-making enterprises is just untrue. Even the BBL, widely acclaimed as the best-run T20 league, made a A$33 million loss over its first five years. Also, with an overabundance of these domestic-level T20 matches, there has been a growing concern as to maintaining a healthy spirit with a sense of contest for the international matches. Therefore, as cricketing cultures advance and technology intervenes, steps need to be taken to ensure that the integrity of the game is not compromised and unduly exceptional alterations are not hastily applied. In union with the argument established previously, the lack of competitiveness surrounding Test cricket is turning out to be lethal for the format’s survival. One reason for this sorry circumstance is that many promising cricketers are being passively shepherded away from Test cricket, quitting the longest format in pursuit of the cash-rich T20 competitions. 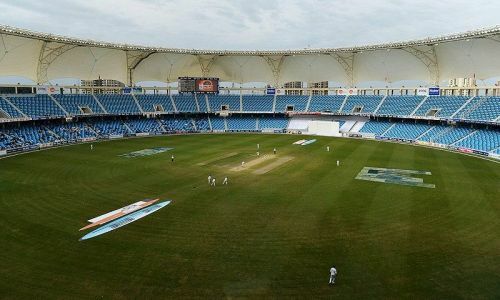 Consequently, attendance numbers in Test matches are at an all-time low just because fans don’t get to witness their favorite players performing. From a young devotee’s perspective, this dearth of quality leads to one-sided affairs in most Test matches and thus the drawing away of cricket followers from Test cricket towards the more captivating format of T20s. This player drain from international cricket to T20 franchise leagues is potentially catastrophic for the greater good of the game. It’s vital here to note that cricketers participating in these leagues accumulate large sums of contracts and sponsorships, more than they do while representing their national teams. As the former Indian coach, Gary Kirsten, accurately spoke: “It's a natural progression that the guys are then going to say 'I'm not interested in bowling 25 overs in a day when I can bowl four overs in a six-week period and earn three times as much.'" However, it’s not just the monetary factor. Many players cite fitness and capability as reasons because they believe playing three different formats demands immaculate firmness and the ability to adjust to the revamping situations. Many cricketing superstars, such as Brendon McCullum, retire early to take part in the T20 leagues. Many more consider pulling out from Test cricket specifically, such as AB de Villiers and Mohammad Amir, in order to keep their physical fitness intact and focus on one particular skill, the limited overs format. Despite the genuine applicability of this issue in modern-day cricket, it can engender unforeseen crisis for the cricketing bodies. The recent tussle between the West Indian Cricket Board and its players is an excellent illustration. The likes of Chris Gayle, Darren Sammy and many other world-class cricketers have abandoned their international team in order to represent franchises in different T20 competitions around the globe. As a result of this animosity and constant finger-pointing, the West Indian team has stooped down to its all-time low world-ranking despite winning the T20 World Cup twice in last six years. Thus, policies need to be drawn out more professionally to completely eradicate the possibility of such occurrences taking place at the first place. How do we improve Test cricket's marketability? Currently, cricket stands at its own crossroads where the primacy of its longest format – Test cricket is diminishing under the proliferation of limited-over formats. The talk of the town should be focusing more on preserving all forms of the game rather than abolishing one and carrying on with the other two. For that, there is a dire need of improving marketing policies as well as working on certain proposals that will safeguard Test cricket’s future. The concept of Day-Night Test cricket has been circulating around for a while and has been successfully implemented by some cricketing Boards since the turn of this decade. Like the day-night ODI cricket that was initiated in the 1970s, this is also an extremely promising plan if enforced appropriately. The idea behind its introduction was to offer a more feasible time-frame for cricketing fans to show up for a Test match. Conventionally, Test matches commenced way before noon making it almost impractical for an average citizen to visit the stadium during business days. Day-night Tests offer far better access proven by the hefty turn out for few of these matches that have been organized thus far. It’s an innovative strategy with tolerable alterations such as usage of pink balls instead of the conventional red cricket balls and has been equally embraced by both the players and cricket enthusiasts. 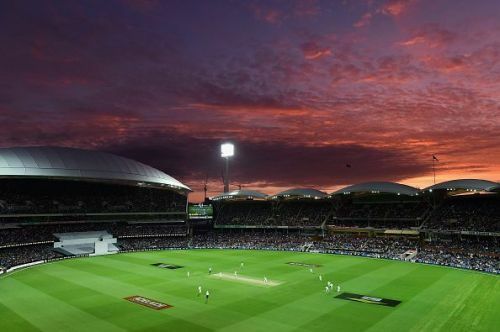 As Simon Day, a cricket journalist, befittingly adds that day-night Test cricket: “... makes the match a spectacle again, it demands people have a relationship with the game. You can come and go from the game, attend to the logistics of life, and sneak back for a twilight session …” and is “… one of the most exciting developments in test cricket”. In addition to this, the theory of 4-day Test matches has also been put forward and has already been tested out in South Africa with utmost progress. Again, the tradition-ruffling changes that are made are absolutely satisfactory, including the increment in the number of overs to be bowled from 90 to 100 overs a day. These concepts boast great potential of long-term success in securing Test cricket’s future. For cricketers, it means playing less cricket during the hottest hours of the day and thus maintaining better fitness levels. Moreover, talking about proposals, the biggest advancement has come from none other than the International Cricket Council itself. After what seemed to be an interminable thought-process, they have finally formulated a strategy regarding a World Cup-like event for Test cricket. A Test Championship is scheduled after a couple of years whereby the world’s best team will be determined following a prolonged series of Test matches amongst the cricketing members of the ICC. Firstly, this will ensure greater Test representation for lower-ranked teams and thus aid in sprouting popularity of the longer format in neglected territories. Secondly, it guarantees a wider sense of competition not only amongst the players but also within the cricketing fraternities. The people would know that each Test match counts for attaining the ultimate glory rather than just playing for bilateral means. This aroused state of achieving bigger reward coalesced with the proposals mentioned hitherto will lead to a definite boom in crowd attendances. Furthermore, other secondary suggestions include having all the T20 leagues pay not less than 20% of a player’s financial worth to their home cricket board, incentivizing test cricketers with better pays, limiting all the T20 leagues within a specified time-frame on an annual basis, and even offering free entry to youngsters to Test matches in order to encourage on-ground presence. To sum it up, Test cricket should not be invalidated despite the flourishing reputation of the T20 global leagues. This dilemma regarding Test cricket has to be resolved before it reaches a no-return point and its viability is endangered. The ideal verdict should not be centered upon the abolition of one format to preserve the other. Test cricket is of foremost importance because of the primitive elegance that it brings to the game and the historical legacy that it carries on its shoulders. T20s, contrarily, play a significant role in maximizing cricket’s reach to a comprehensively global level and brings in followers of this beautiful game from far-fetched domains. Therefore, a middle-ground must be identified where the simultaneous development of all three formats can be exercised.